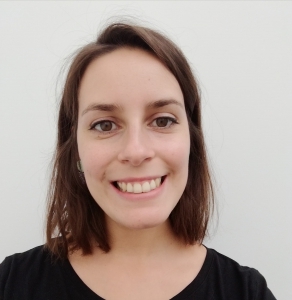 Laura Wauters received a bachelor’s degree in chemistry with a specialization in applied chemistry from “Haute Ecole Louvain en Hainaut” in 2014. She performed her final project in UMONS in the Laboratory of Therapeutic Chemistry and Pharmacognosy on the “Characterization of Chinese medicinal plants and study of their genotoxicity”. In October 2014, she joined UMONS in the Laboratory of Polymeric and Composite Materials (SMPC) of Prof. Philippe Dubois as a lab technician. In 2018, while keeping a part-time activity in SMPC, she joined the Laboratory of Chemistry of Novel Materials of Prof. Roberto Lazzaroni. Her main activity is to organize and supervise the practical classes of general chemistry for the first-year students from the Faculty of Sciences.